Massage oils can make a big impact on how your clients feel during their treatments. Do the oils feel smooth and rich or are they slimy and sticky? Are there harmful ingredients or is it an organic product? To ensure that you only stock the finest massage oils at your practice, order yours from MassageTools. We have a wide variety of silky smooth massage oils from which to choose. These oils help to facilitate better treatments while also making the client feel more relaxed and pampered. Our wide selection of products includes nut-free and USDA-certified organic oils as well as scented and unscented options. 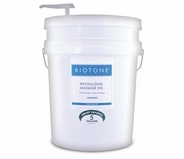 When choosing from our top brands like Biotone, Aromaland and Sacred Earth, you can also choose between smaller containers or bulk sizes. 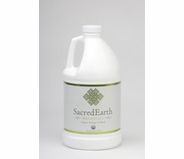 Sacred Earth Botanicals - Certified Organic Massage Oil - 8 oz. 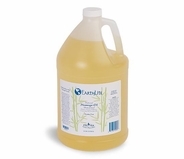 Sacred Earth Botanicals - Certified Organic Massage Oil - Half Gallon 64 oz. 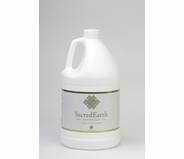 Sacred Earth Botanicals - Certified Organic Massage Oil - Gallon 128 oz. 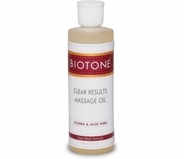 Biotone - Clear Results Massage Oil 8 oz. 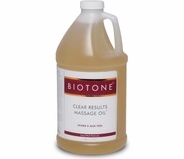 Biotone - Clear Results Massage Oil 64 oz. Biotone - Clear Results Massage Oil 128 oz. Biotone - Revitalizing Massage Oil 8 oz. Biotone - Revitalizing Massage Oil 64 oz. Biotone - Revitalizing Massage Oil 128 oz. Make sure your clients enjoy a luxurious experience during every massage with these high-quality, effective massage oils. Don't hesitate to contact our product specialists if you have any questions about the products available on our site. Sunflower Oil � Silky and smooth, this oil expressed from Sunflower seeds and is what gives glide to massage oils. Rich in fatty acids, sunflower oil is light and high in vitamin E. Sunflower oil helps the skin retain moisture and can also help protect against skin irritations and infections. Safflower Oil � Similar to Sunflower oil, Safflower oil is expressed from Safflower seeds and is both flavorless and colorless. High in linoleic acid, this oil is excellent for hydrating dry skin. Olive Oil � Often used in cooking, the type of oil used in massage has been specially filtered to add moisture and prevent clogged pores. Olive oil is often used in other cosmetics and soaps to help heal dry and scaly dehydrated skin. Do not consume olive oil used in massage. Jojoba Oil � Often used as carrier oil due to it�s long shelf-life, Jojoba is really more like a liquid wax than oil. 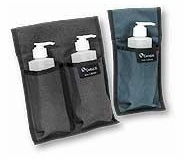 It effectively adds slight drag to support targeted work on client�s specific trouble spots without losing your grip. Almond Oil � Almonds grown on trees and are commonly referred to as �nuts�. In reality they are seeds of the Almond tree. Great as an emollient, Almond oil is also used as a great skin lubricant for massage. It�s both mild and lightweight. Often used as a substitute for olive oil in massage oils. Sesame Seed Oil � Long popular in alternative medicines, Sesame oil is a natural anti-viral and anti-inflammatory. Very popular in India, Sesame oil easily penetrates the skin and is used to massage the feet, hair and scalp. Grape seed Oil � Light and thin, grape seed oil is used as a carrier oil for essential oils and also as a lubricant for massage and shaving. Avocado Oil � Unlike other oils, Avocado oil is not pressed from the seed but rather the fleshy pulp around the pit. Avocado oil is edible but acts as a great lubricant and for massage. 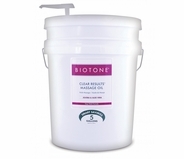 It�s also considered valuable for its skin moisturizing and regenerative properties.